Noida Goes to Poll Today | Lok Sabha Elections 2019 - Noida Diary - Rediscover Noida With Us! Gautam Budh Nagar parliamentary constituency comprising Noida, Dadri, Jewar, Sikandrabad and Khurja assembly segments goes to poll today. The polling started at 7 am on Thursday April 11, 2019. There are 13 candidates including two independents contesting this year for the Gautam Buddh Nagar Lok Sabha seats. Dr Mahesh Sharma of BJP, Arvind Kumar SIngh of Congress and Satveer Nagar of BSP with the backing of Samajwadi Party are the main contenders of Noida Lok Sabha seat. The Gautam Budh Nagar parliamentary constituency has a total of 22,97,478 voters, of whom 12,63,065 are men, 10,34,280 are women and 133 are of the third gender. In 2014, 22 candidates had forfeited their deposits of the 24 candidates contested. The voter turnout was 60 per cent with 12 lakh voters exercising their voting rights. The Gautam Budh Nagar administration is all set to conduct the Lok Sabha election with over 10,000 police personnel and paramilitary forces being deployed in various parts of the district to ensure safe and fair polling, reported a national daily. Schools are closed in the district which have been converted into polling stations for the ongoing Lok Sabha polls. Resident’s welfare associations too have been instrumental in helping out residents with commute to the polling booths and arranging for the voter slips for their area. Three e-Rickshaws are plying at the gates of sector 31 to take the voters to the nearest polling station. RWAs also urged people through various channels including their RWA whatsApp group urged rresidents to come out in great numbers to vote. I’m glad to have come across this post. Voting is not only our fundamental right but duty and people often forget this. 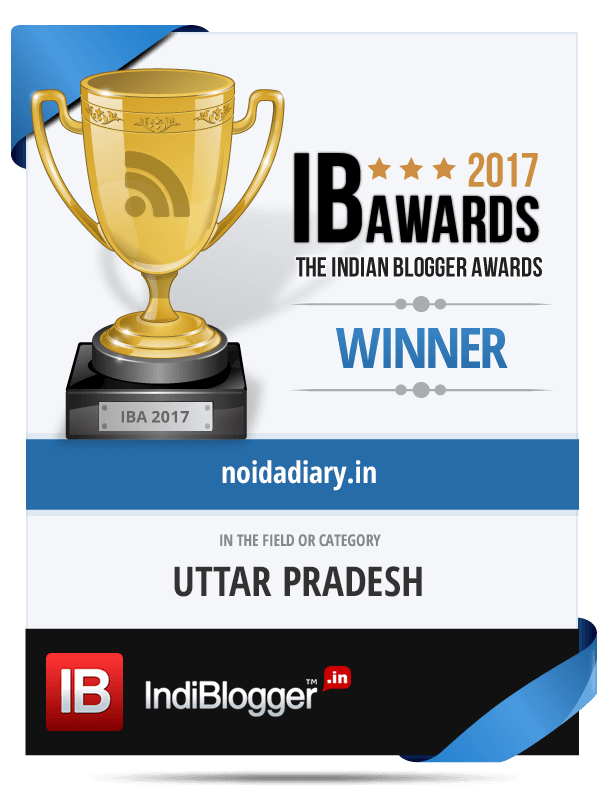 Thank you for the detailed post about the Noida voting! Half of my family lives in Noida. I am glad I have come across your blog so I can stay updated with all the Noida related news! Elections have begun in the country and it’s everyone’s responsibility to vote for the right candidate. This info is very useful for Noida peeps. Voting is our expression is freedom,we should always use this power wisely. I am super excited to see the poll results this election. Can’t wait to caste my vote for my fav candidate and party. I have always believed in the power of voting and how an individuals vote can bring a difference in the Indian governance. I never miss any opportunity to exercise my right as an Indian citizen. I too cast my vote on Thursday. WE all know that we have to vote but we don’t know the other information which you have shared beautifully on your blog. Great to see how people help each others during elections so that each and every citizen votes for betterment of our country. I am waiting for in my state. You did your job. Arrangements are also same in every city in elactions. School as polling stations and buses and rikshwas for transport.